The Legal Aid Board’s report for 2010 shows that demand for its services has grown by over 70 per cent over four years. THE NUMBER of people seeking civil legal aid jumped by over a fifth last year, according to the Legal Aid Board. In the LAB’s annual report for 2010, chairperson Anne Colley says the organisation has seen a surge in demand in recent years which has been largely driven by the economic downturn. She says “the economic situation has had a very real and tangible impact on our operating environment” which has led to a “rapidly evolving imbalance” between the board’s available resources and significantly increased demand. The board provides civil legal aid and advice around the country for a contribution based on the client’s income. Since 2006, the board has seen a 70 per cent increase in applications for legal aid. In total, the LAB had 18,623 applicants last year – a 21 per cent more applications than in 2009. Last year’s rise in applications followed an increase in 2009 of 18 per cent on 2008 figures. Not all of the applicants received legal aid. Of the 16,632 cases handled by LAB last year, less than half were for advice while the remainder proceeded to court. By the end of last year, waiting times at 16 of the LAB’s centres were over four months, while it was under four months at 13 of the centres. 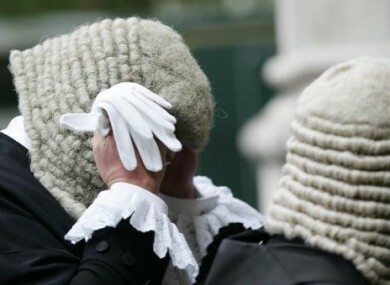 Exchequer funding for legal aid fell 8 per cent to €24.22 million. Legal Aid Board CEO Dr Moling Ryan said that resource constraints coupled with increased demands has led to longer waiting times for applicants, but that cases considered to be priority are given immediate or near-immediate service. Email “Surge in applicants for legal aid”. Feedback on “Surge in applicants for legal aid”.